Leekes Retail and Leisure Group, based in South Wales, has reported another year of strong results. The family-run business which has been operating for over 120 years advised that the excellent trading reported in the year to 31 March 2018 had continued into the first half of the current financial year. The Leekes Retail and Leisure Group comprises a portfolio of Leekes home department stores together with the Vale Resort at Hensol. The retail business built upon its expansion into England with the acquisition of Park Furnishers Bristol in 2016 whilst the Vale Resort has benefited considerably from the investment in the world class wedding and event venue at Hensol Castle. The Group achieved turnover of more than £85 million in the year to 31 March 2018 which resulted in an EBITDA of £4.3m and strong pre-tax profits. Now in the first half of the 2018-9 financial year, it has seen a further improvement in group turnover and profits with the directors having announced that the Group has already achieved last year’s EBITDA after just eight months of trading. Reflecting on the past year in the leisure sector, Stephen Leeke, managing director of the Vale Resort, said “We are delighted to report strong sales and profits for the Vale Resort with excellent levels of growth in bedroom and food and beverage revenues together with encouraging improvement in Resort membership numbers and spa business. 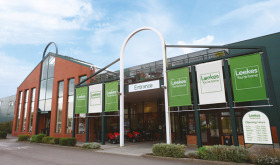 Commenting on the success of the retail sector within the Group, Emma Leeke, managing director of Leekes Retail, said: “We are very pleased to post a great set of results in what has been a particularly challenging retail environment. Our trading in the first half of this year has also been exceptional with retail profits up substantially as a result of the excellent performance of our conservatory, window and door division as well as our fitted kitchen and bathroom departments." The Group, with its considerable asset base of nearly £70 million, has, with the support of its bankers Barclays and Lloyds, been preparing the next stage of its expansion plans which includes the second phase of its development of Hensol Castle which sees the addition of twenty-nine bedrooms as well as an 80 cover restaurant.